Here at Q Source, it's our goal to help you save money on quality product solutions. This month we're very excited to be working with Unitron to bring you two great offers: Our monthly Social Networking Sale is offering an extra 10% OFF all Unitron items at QSource.com AND we have a selection of three excellent Unitron packages exclusive to Q Source. Unitron specializes in high-quality, precision instruments for industrial, metallurgical, materials science, research, and educational applications. They know the importance of having the right combination of tools to increase the quality and efficiency of your application tasks. With that in mind they've worked with us to put together these feature-filled packages to provide you with top-of-the-line optics and technology to get the job done successfully. The first exclusive package is the QSZ850 Video Zoom Inspection System. 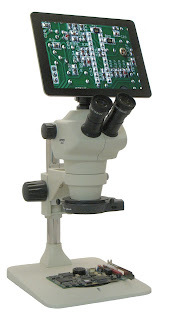 Built to be sharp, crisp, and brilliant, this awesome system brings together a 5-megapixel camera, 10” tablet PC, image analysis software and a high-quality 8x – 50x zoom stereo microscope. Our next special package is the QSZ8 8x-64x Zoom Inspection System. Offering superior optics and an unparalleled ergonomic design, this system features seven defined magnification levels with an outstanding depth-of-field. Our final Q Source exclusive package is Unitron's QSZ730-60 7x-30x Zoom Stereo System. 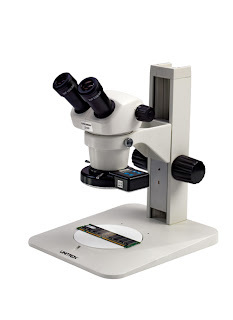 This system also features Unitron's outstanding optical technology and offers the benefits of a large field-of-view useful for benchtop inspection of circuit board assembly and rework projects. These exclusive Unitron packages are available now at money-saving low prices and, for the month of January, also eligible for the extra 10% OFF savings through our Social Networking Sale. 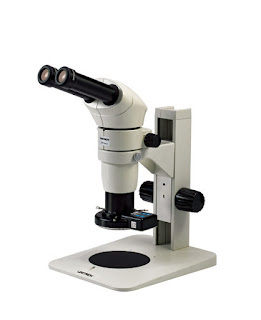 Now is the time to get a very high-quality microscope/inspection system at an incredible low price. We know these special systems, along with our other Unitron product offerings, will help you achieve the precise results you need for your microscopy applications. If you have further questions about what package is right for you please contact one of our experienced experts at 800-966-6020 or via email.